Silencer Megabond High Frequency Sound Absorbing Foam is the perfect material to use to reduce the high frequency noise that distorts your mobile entertainment system and the vehicle interior from road noise, engine noise, exhaust and wind noise passing behind trim panels. 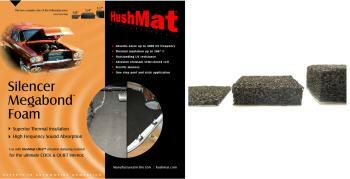 HushMat Silencer Megabond absorbs this annoying noise and provides a Quiet and Comfortable ride. Aggressive butyl based adhesive on back for one step peel and stick application. 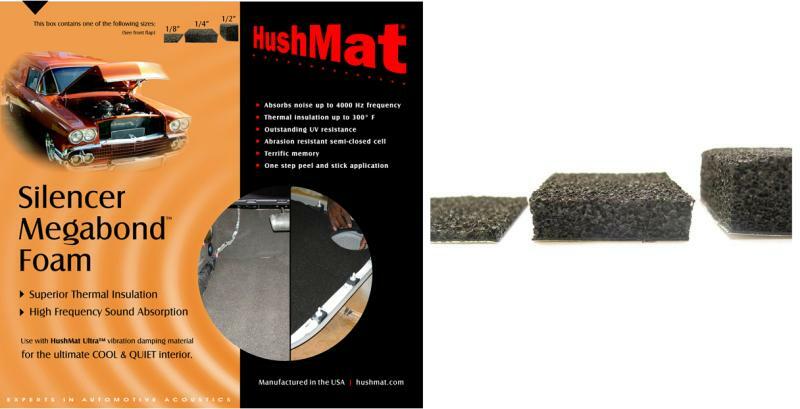 Stick to sheet metal or fiberglass vehicle surface or directly onto aluminum surface of HushMat Ultra vibration damping material for the ultimate COOL & QUIET interior. Silencer Megabond is available in three (3) thicknesses and is formulated specifically for the rigors of the automotive industry.